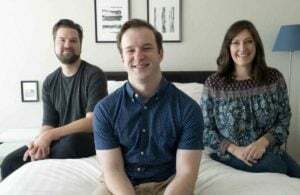 Amerisleep and Loom and Leaf are two reputable brands that have had great success cornering the memory foam mattress market. 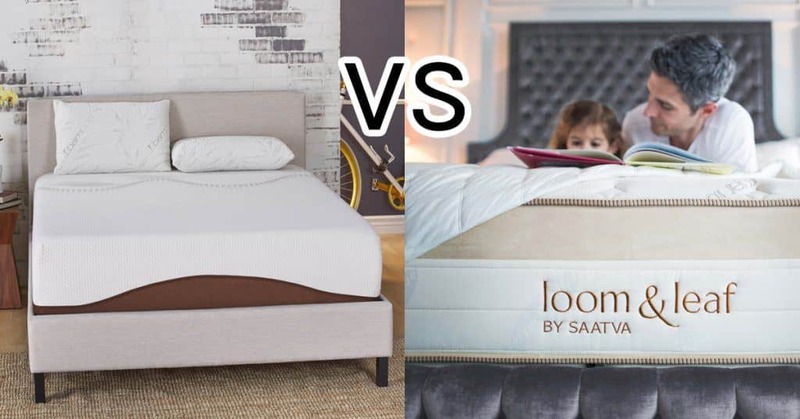 Amerisleep has a line of different models, while Loom & Leaf has had success with just one model (although it’s part of the Saatva company, which has two other brands). Given that both are all memory foam mattresses, people often times wonder how the two brands differ from one another. While there are many similarities, there are a few differences. I’ll try to highlight those differences to help you if you are making the decision of Amerisleep vs Loom and Leaf. The decision shouldn’t stress you out too much, as both companies have great return policies in case one doesn’t work out for you, and they are great overall as well. Amerisleep has five different models, but they all share some things in common. They all use a 4 lb. density memory foam as the top comfort layer. The foams are all bio-based foams, making them slightly more “green” than the average memory foam mattress, and slightly cooler as well. Each model is created for certain types of sleepers. For example, the Americana is the least expensive, has just 2 inches of memory foam, and is the firmest model. It caters to back and stomach sleepers. Compare that to the Independence, which has 5 inches of memory foam, is the most expensive, and is best for pure side sleepers. Generally, the more memory foam in the mattress, the more expensive it is going to be. Amerisleep does have celliant covers. This type of cover is supposed to help increase blood flow, reduce pain, and boost muscle recovery. I’m not a scientist, so I can’t vouch for the legitimacy of these claims, so you should take a look yourself at the science behind the claims and make a judgment on your own. 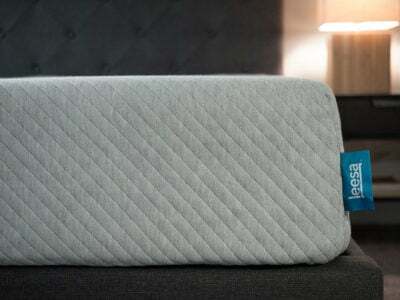 Loom and Leaf aims to cater to all sleepers. To me, it has a middle of the road firmness (the relaxed firm comfort level). It is great with pressure relief for when I sleep on my side yet feels nice and supportive while on my back. The densities of the foams are all in the same general range as the Amerisleep line, and they use bio-based foams as well. 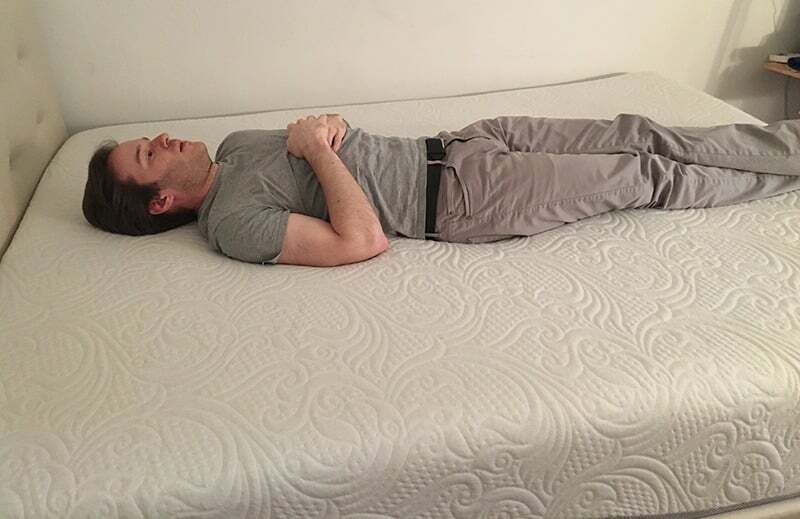 The construction overall is fairly similar to that of the Amerisleep mattresses. You Want Options– If you only sleep on your back, then Amerisleep will have a specific model suited for back sleepers. 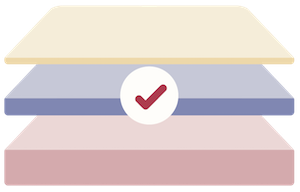 Their line of mattresses caters to specific sleeper types, so if you have specific sleep preferences and want options to reflect that, then Amerisleep may be the way to go. 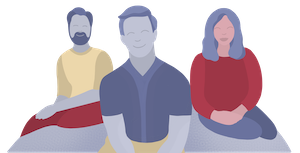 You Value The Celliant Cover– I can’t personally vouch for the science behind celliant technology, so I would recommend reading about it on your own and making your own decision. It purports to boost flow and increase energy and muscle recovery. This could be ideal for athletes, but again I would encourage you to read the science behind it. 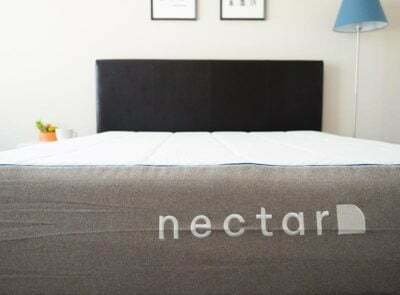 Learn more in my Amerisleep mattress review. You Don’t Have Specific, Unique Sleeping Preferences– L&L does a great job of catering to the majority of sleepers. If you aren’t overly heavy, for example, or you sleep in multiple positions, then the Loom and Leaf will probably be a great fit for you. 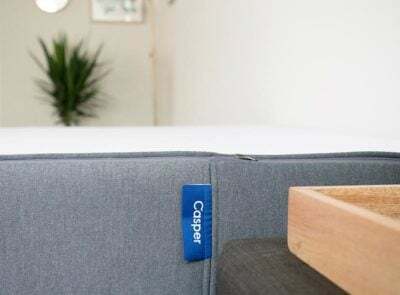 You Are A Combination Sleeper– Because Loom and Leaf is geared for as many types of sleepers as possible, it does a really great job for people who sleep in multiple positions. Learn more in my Loom and Leaf review. There are a LOT of similarities with these two companies. This is one comparison where it is very difficult to say which one you should choose. They both are great companies, both great mattresses, so if you still can’t decide, I’d flip a coin to make the decision and don’t stress! I am completely undecided between L&L and the Amerisleep. My husband and I are both side sleepers, he sometimes is on his back, he gets shoulder pain and I have hip pain. We are average sized people weighing 130 and 155 lbs. We currently sleep on a very firm Temper-pedic, but it is too hot for me. We prefer a firmer bed. And I should add we allow our two 45 and 50 lb dogs to sleep with us, so motion transference is an issue. Any advice is GREATLY APPRECIATED!! Thanks. I would think the L&L would be a good match for you. This review is inaccurate. L&L has two models, relaxed firm and firm. Thanks, Kim! We consider models something different from comfort levels. So yes, the L&L has two comfort levels to choose from – thanks for pointing that out! I find all Saatva mattresses too lumpy. I suffer from back pains. 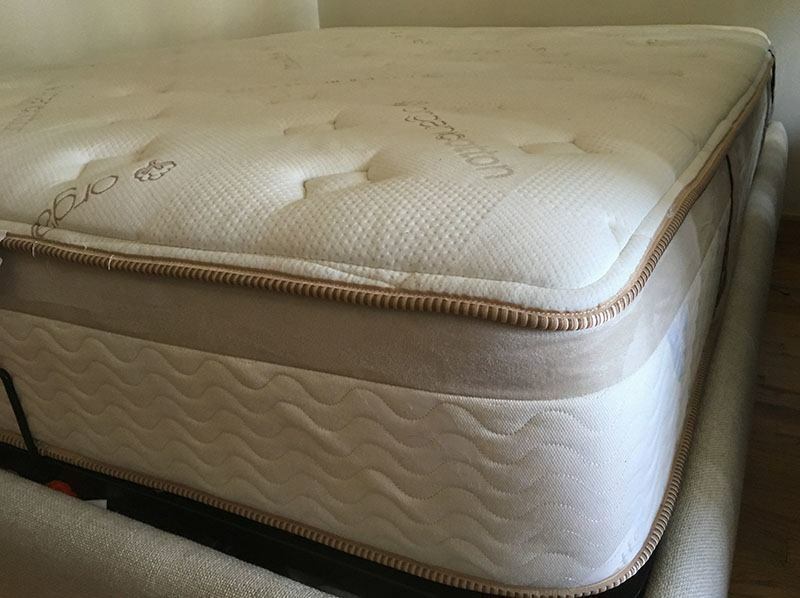 Currently replaced their coil mattress for a softer memory foam. I am so tossed up over the Amerisleep Liberty vs. Loom & Leaf! They both sound great and are comparable in price with L&L a little bit higher. I have been having chronic back and hip pain, while my hubby suffers from shoulder pain. 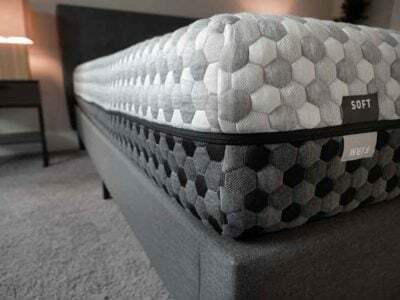 We definitely want a bed that is supportive and good with pressure points. We are generally side and back sleepers and prefer a medium softness. Any tips?